As in previous years, also as part of this year’s edition of the WRO Biennale, we are preparing a traveling set consisting of video and documentary works selected from the rich program of the exhibitions, performances, lectures, talks and other events that took place during the 17th WRO Media Art Biennale 2017 DRAFT SYSTEMS, featuring not only the most interesting artworks and their authors, but also highlighting issues important for the current art. 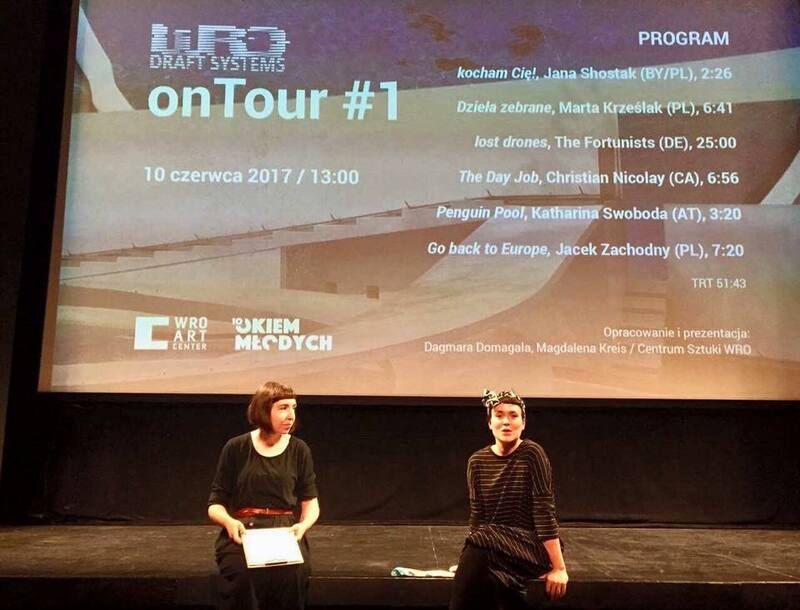 We prepare special WRO on Tour programs that are presented in different art institutions and during various events and festivals in Poland and abroad until the next edition of the WRO Biennale. If you are interested in organizing the WRO on Tour program, please contact us on the available dates and conditions at info@wrocenter.pl (please, enter “WRO on Tour” in the title of the e-mail). More information about WRO on Tour 2017 events – see below.